If you’ve had a conversation about bitcoin or read an article or two on the topic, the term ‘bitcoin mining’ has probably come up. This is the process by which bitcoin transactions are verified and blocks are added to the bitcoin ledger. One of the most intriguing things about bitcoin mining is that it involves the release of new bitcoins in the form of a reward to miners. Since it’s the only process by which new bitcoins can enter the network, bitcoin mining has unsurprisingly garnered a lot of attention from general bitcoin enthusiasts as well as entrepreneurs. One of the key things to know about bitcoin mining is that it has gotten a lot more difficult over time. At the time of bitcoin’s inception, it was feasible to mine from a home computer. Nowadays, profitable mining requires highly specialized equipment. While the barriers to mining for a profit increase, it is still possible for a general enthusiast to partake with a relatively small investment. In this post, we’ll explain exactly what bitcoin mining is and how it’s done. We’ll also reveal how you can get in on the action yourself. 1 What is the bitcoin blockchain? 2 How does bitcoin mining work? In order to understand bitcoin mining, you first need to know a little bit about blockchain. Before we jump in, we’ll provide a glossary of some common terms. Block: A set of bitcoin transactions. Blockchain: The technology on which bitcoin is based. Hash: An alphanumeric string of a fixed length, unique to each block. Ledger: A public record of every bitcoin transaction that has ever taken place. Miners: People (or entities) who use computational power to support the bitcoin network. Transaction: The process by which an amount of bitcoin is sent from one party to another. Blockchain technology is new technology that has a wide range of potential applications. The first and most widely used application of blockchain was bitcoin, closely followed by other cryptocurrencies such as litecoin and namecoin. Blockchain might be best understood if we break it down into two parts, the blocks and the chains that link them together. 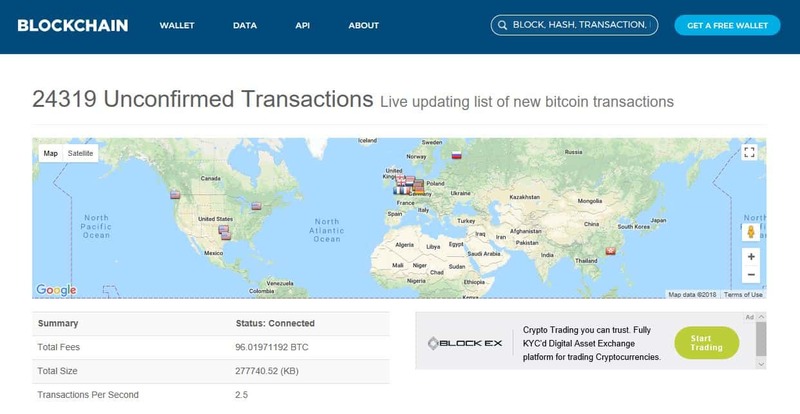 Each block in the blockchain represents a collection of recent transactions. The data for each transaction includes where the bitcoin is coming from, where it is going to, and the amount being transferred. 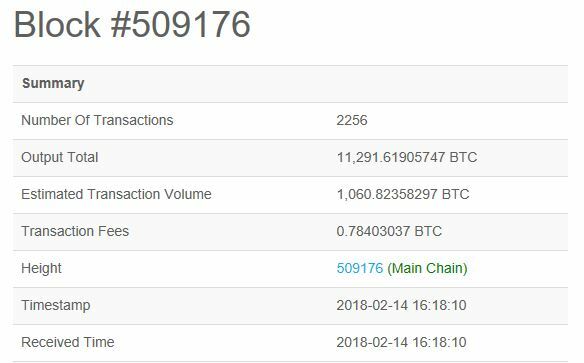 There is not a set number of transactions in each block, but a new block is formed roughly every ten minutes. In other words, each block will contain ten minutes worth of transactions. You can take a look at some of the transactions awaiting confirmation on Blockchain.info. You’ve probably heard of the term ‘bitcoin ledger.’ This is the entire record of all the transactions that have occurred since the launch of bitcoin in 2009. It contains every block in the chain. It sits in the cloud and is available for everyone to see. There is only one ledger and it can be downloaded by anyone, although at this point it would take up quite a bit of computer memory. Before a block can be added to the bitcoin ledger, it needs to be assigned a hash. This is a large computer-generated number specific to the set of data in the block. If you were to even change one decimal place in the block the hash would no longer make sense. This is where the chain part comes in. Aside from ten minutes worth of transactions, each block also contains the hash from the block before it. In other words, the hash that is derived from each block becomes an integral part of the block that immediately follows it. As such, every block in the chain is linked to the last. This makes it extremely difficult (virtually impossible) to alter past transactions. So where do miners come into all of this? First, before a block is hashed, each transaction needs to be verified to ensure it has no issues such as double-spent coins or insufficient funds. This transaction verification is part of bitcoin mining and involves fees paid out to miners. This is part of the reason blockchain is so secure. In order to alter a transaction, the majority of miners would have to agree to verify a block that contains false information, which is practically impossible. The second part of mining is the creation of the actual hash. In order for this to be done, a mathematical problem needs to be solved. Partially, it involves coming up with an alphanumeric hash of a particular length that has a certain number of leading zeroes. Another way to look at it is that the hash must be below a given target. The lower the target, the more difficult it is to produce the hash. Below is an example of a recently mined block and its corresponding hash. It’s essentially a race to see who can be first to generate a qualifying hash. The problem can’t be solved with brain power and instead requires vast amounts of computational power. Solving the hash becomes a game of chance, and the entity (e.g. private mining company or mining pool) with the highest collective computational power has the biggest chance of winning. The problems can be assigned a difficulty rating that changes every 2016 blocks, which is roughly every two weeks. The difficulty is changed such that the rate of addition of new blocks to the chain remains fairly constant. 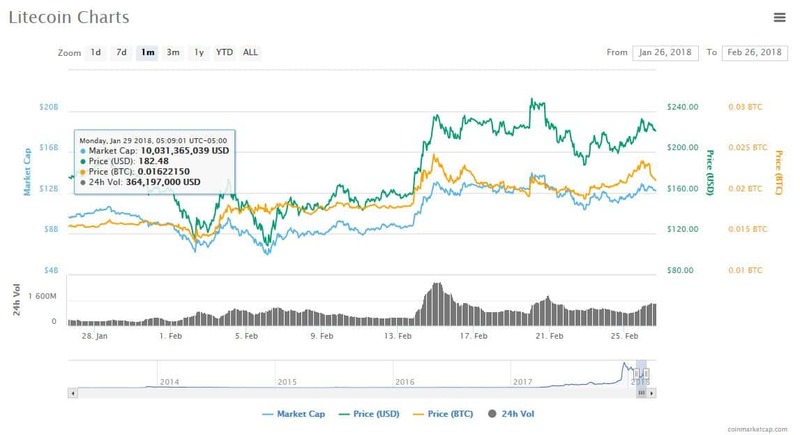 In theory, the difficulty could go down, but as long as people add more computational power to mining efforts, it will continue to go up. In turn, as the difficulty increases, the level of computing power required to solve the equation also increases. Once the equation is solved, the person (or group) who solved the equation is rewarded with bitcoin. The bitcoin they receive is new bitcoin (it hasn’t yet been in circulation), so they have essentially mined the bitcoin. We’ve learned that when a new block is added to the ledger, the miner who hashed the block is rewarded. Now, this reward consists of a set amount of newly mined bitcoin, plus the fees for every transaction in the block. Fees are paid by the sender and are used to incentivize the miner to include the transaction in a block. There is an upper limit to block size so they can choose not to include certain transactions. Paying a higher fee can therefore result in a faster transaction time. Originally, the set reward for solving a block in the chain was 50 bitcoin. However, after every 210,000 blocks have been mined, this amount undergoes what is known as a “halving.” Late in 2012, the reward was halved to 25 bitcoins per block, and again to 12.5 bitcoins per block in mid-2016. It’s due to be halved again in 2020. You can follow the reward halving countdown at bitcoinhalf.com. Another thing to note is that there is a set number of bitcoins (21 million) that can be in existence. So, based on the rate of block verification and reward halving, it is estimated that the last bitcoin will be mined in the year 2140. Once that happens, there will be no more bitcoin rewards available for miners. As such, the incentive to mine will be purely based on transaction fees. We mentioned earlier that bitcoin mining is not as profitable as it may first sound, especially for an individual. This is because of the vast amount of computational power involved. Aside from the mathematical problems being tough to solve, their difficulty is constantly increasing. This means more and more computer power will be required in the future to verify each transaction (unless people start to lose interest in mining and the difficulty rating consequently falls). This is why more specialized equipment is continuously being developed for the purpose of mining. While regular Central Processing Units (CPUs) were sufficient at first, they were quickly surpassed by graphic cards that offered more hashing power. Nowadays, Application-Specific Integrated Circuits (ASICs) are made especially for bitcoin mining and are the go-to equipment. Bear in mind, this equipment doesn’t run for free. It requires large amounts of electricity to power it and thermal-regulation to prevent overheating. Therefore, it’s not just the hashing rate that ASIC manufacturers are trying to optimize. They’re also trying to create the most efficient hardware in terms of electricity, while offering it at a decent price. To begin with, it is presumed that the creators of bitcoin were the ones mining it, although no one actually knows who the first bitcoins went to. In the early days, it progressed to individuals using their personal computers to try to be the first to solve the equations. Eventually, the value of bitcoin started rising and interest in mining grew. As the difficulty of problems increased, more power was needed to solve them. People started forming ‘mining pools’ in which they combine their computational power to mine blocks. They then typically share the proceeds proportionately according to power input. These days, it’s not just pools using scale to mine. There are some large players in the mining arena that remain private. Some are companies dedicated to mining while others are mining offshoots from other corporations. Hive Blockchain Technologies Ltd runs a specially-designed mining facility in Iceland. These private entities typically pack a much larger budget than your average miner. They are able to stock up on the most powerful equipment, giving them a much better chance of beating the competition. Bitcoin mining is a huge drain on electricity. The mining industry represents an opportunity for fraud. Miners snapping up the latest hardware are causing huge pricing fluctuations. As mentioned, as the difficulty of mining bitcoin has increased, so has the amount of power required to enable miners to win blocks. In particular, in Iceland and China, governments are voicing concern about the drain of electricity represented by mining. Elsewhere, including rural Washington and eastern Canada, officials are reportedly happy for miners to set up shop. However, there remains concern over the long term environmental impact. The allure of making a quick buck by mining some bitcoin has not escaped the notice of criminals. Cybercrime is already cited as one of the top three major threats in 2018, and bitcoin mining is giving fraudsters yet another opportunity to prey on unsuspecting individuals. Related phishing scams and hacker thefts have both made the news in the last couple of months. And it’s not just cybercriminals. Bitcoin mining ICO Giga Watt is currently being sued for securities fraud after failing to deliver on its promises to investors. This may not be a global concern but bitcoin mining is having an impact on large markets such as the gaming industry. Specifically, miners have driven up the price of graphics cards worldwide. Nvidia has even asked retailers to only sell two graphics cards to each customer so that gamers can still buy them at a reasonable price. To add another layer of complexity, when a new graphics card is released, all the miners switch to it and sell off their old ones. This floods the market with old used cards and generally wreaks havoc on the price of graphics cards. As we’ve mentioned, bitcoin mining might not be the easiest thing to get into, and is certainly difficult to make profitable. To give you an idea, most mining is now done in specialized mining warehouses. These thermal-regulated data centers pack large amounts of mining equipment, all of which comes at a high cost. But if you want to get into it as a hobby, or have a lot of capital to invest in making it a viable money-making endeavor, there are a few ways you could get started. If you’ve got some spare time and cash, you might want to try simply mining from home. When the first bitcoins were being mined, the difficulty level was very low. As such, you didn’t need a lot of computational power to earn rewards. But, with difficulty having increased exponentially, your regular computer won’t get you very far these days. It’s technically doable with a CPU or a graphics card, but your chances of mining a block are next to nil. Plus, you may actually end up damaging your system. Instead, you’ll need to think about forking out for an ASIC. These are specially designed to mine bitcoin by solving the hashing algorithm. Things to look out for are hash rate, efficiency (in terms of electricity used), and price. A single ASIC can cost anywhere from a hundred dollars to several thousand dollars. You typically get what you pay for and higher priced hardware is usually faster and more efficient. Antminer and Avalon are a couple of popular brands and can be easily found on sites like Amazon and eBay. An Antminer S7 for sale on Amazon. To figure out what you need in order to be profitable, you could use a handy bitcoin mining profitability calculator. It’s worth noting that serious miners are typically replacing hardware fairly frequently in order to stay competitive. To give you an idea, the latest Antminer version (the S9) was released in May 2016, less than a year after Bitmain released the S7. Although, there is no official word regarding if and when a new version might be released. Aside from the mining hardware, you’ll also need sufficient power to support it, plus cooling equipment. Then, to get started, it’s necessary to download the mining software of your choice. Your software will connect you to the blockchain and to your pool if you choose to join one. Thankfully, this is one component that you don’t have to pay for as most software is open source and free. When choosing software, you’ll need to find one that is compatible with your OS and hardware. For example, BFGMiner works with with Windows, Linux, and Mac, and with a range of hardware. Some are designed only for solo or pool mining while others work for both. You may want to take into account other features such as ease of use (EasyMiner might be a good option). EasyMiner is known for providing easy-to-use mining software. If you’re thinking of joining a pool (more on that below), you may want to join preemptively. This way, you can research forums and ask other members of the pool for advice on which hardware and software to go with. One more thing, you’ll also need somewhere to keep your bitcoin once earned. When you set up your software, you’ll need to provide a destination for your bitcoin to be sent to. Bitcoin wallets can take many different forms, and there are a ton of options available depending on your needs. If you have very cheap electricity, it is feasible to make a profit from mining. But unless you have a huge amount of money to invest, it’s probably still not a venture you can successfully undergo alone. This is where mining pools come in. By combining the computational power of a group of individuals, you’ll collectively have a much better chance at being the first to solve a block and collecting the reward. This can then be shared among members, often according to how much power each has contributed. The biggest pools these days are BTC.com and AntPool. At the time of writing, they account for over one-third of the most recently mined blocks. What’s more, just five pools combined have collected more than three-quarters of all recent rewards. Since the cost of electricity is a large factor in mining, it makes sense that profitable mining is more feasible in areas where electricity is cheap. So it’s no surprise that many of the top mining pools are based in China. Although, with recent news of a clampdown on mining in China, these pools could soon be more concentrated in other parts of the globe. Some pools, such as BTC.top, are private pools and cannot be joined. If you’re looking to join one of the top mining pools, BTC.com (China) and Slush Pool (Czech Republic) would be two possible options. 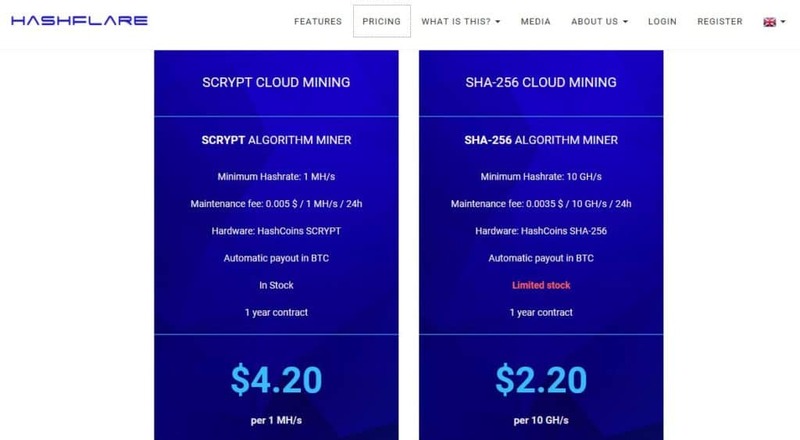 The latter is one of the oldest mining pools and is a popular choice among hobby miners. One problem with having a few large mining pools is that there is danger of a monopoly or least an oligopoly. This goes against some of the basic principles on which bitcoin was created and gives a lot of control to the founders of the top pools. The real threat here is that only 50 percent of miners are required to reach a consensus, so if some of the top mining pools combine forces, they could conspire to add fraudulent transactions to the blockchain. As such, for the good of the network, you may want to consider joining one of the smaller pools instead. When considering your options, you’ll want to look at how each pool works. From a monetary standpoint, they differ in terms of whether they share fees and how they split rewards. There could also be differences in the way they are run, the guidelines put forward, and how much community feedback is welcomed. If you don’t fancy joining an existing mining pool, you could start one of your own. This might be an especially attractive option if you’re a bitcoin ‘purist’ as it aligns with network’s core principles. 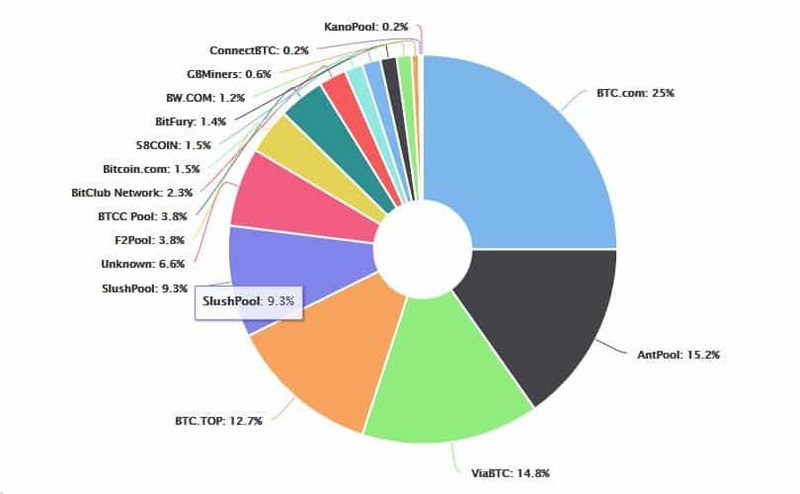 With more mining pools operating at a competitive level, it could help to narrow the pie slices of the biggest pools. Of course, before considering creating a pool, you should probably have a decent amount of mining experience under your belt. It’s not impossible as a newbie, but you would need to be pretty tech-savvy or solicit help from someone who is. Plus, you might have to front quite a bit of cash for hardware to make the pool more attractive to other miners. On that note, some solid marketing abilities would be required to encourage other miners to join your pool. You’d be competing with the likes of AntPool to attract miners. On the other hand, if you have some serious money to invest, you may want to consider creating a private mining company. Without other miners contributing their computing power, you’d need a lot of your own. This means you would have to front a large amount of capital or get some big investors on board. If you want to get in on the mining action but would rather be a little more hands off, there are opportunities to invest in the mining ventures of others. This way, you get a share of some of the profits if they are successful, but you don’t have to deal with purchasing and running equipment yourself. Cloud mining enables you to buy bitcoin mining contracts in which you’re paying for a share of processing power. There are many options out there, but HashFlare and Genesis Mining are two of the top players in the market. HashFlare offers a couple of different options depending on your needs and budget. Just make sure to do your due diligence as this industry has plenty of scammers. Even with legitimate businesses, look out for the fine print, including the potential for a cease of operations if the value of bitcoin drops. Bitcoin isn’t the only cryptocurrency out there to be mined. It certainly has the most interest, which may be why you’d be better off going for an alternative. There is often less competition with other coins. They are all newer than bitcoin, so the payout amount (in terms of number of coins) may be more. For example, litecoin is currently far easier to mine than bitcoin, requiring much less computational power. There are 84 million litecoin available, although blocks are created at a faster rate than bitcoin, with more than 14,400 litecoins being released per day. Ethereum and ZCash are other popular options. Since bitcoin has the highest value of all cryptocurrencies today, there may be less perceived value in mining other coins. However, with the volatility of the market, you never know what might happen. If you do choose to mine an altcoin, bear in mind that the process may be quite different from that described above for bitcoin. Most notably, some cryptocurrencies use a Proof of Stake (PoS) model instead of the Proof of Work (PoW) method used by bitcoin. In very simple terms, instead of miners battling it out, PoS involves a selected block creator, chosen based on their stake in the network. 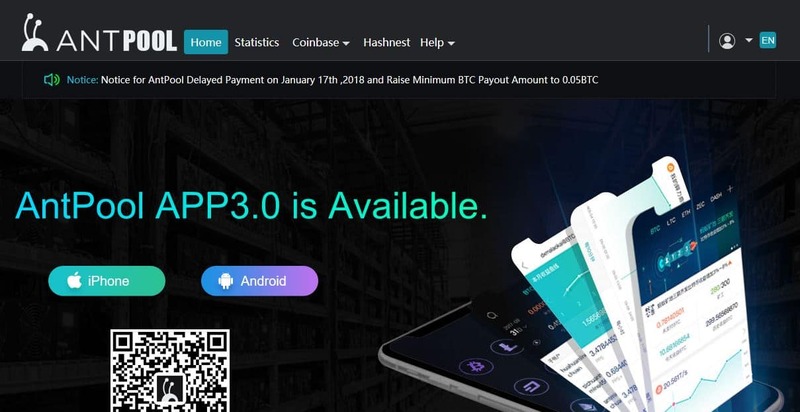 The payment system for PoS is different to that of bitcoin. Validators (the equivalent of miners) earn transaction fees but do not receive a block reward. Overall, it is a far more efficient method than PoW, but some complain that a major flaw is that it facilitates the rich getting richer and the poor poorer. Whichever route you decide to go, in-depth research is a must. Plus, with the landscape continuously changing, it’s important to stay up-to-date with the latest news.